Termites eat timber from the inside out so once they are found damage is widespread. With Termites (also known as white ants) causing more damage in Australia than flood, fire and storms combined, it’s increasingly more important to have a Pest Inspection done when purchasing a home. Advancements in technology allow Sound Building Inspections to offer one of the most thorough Pest Inspections on the market. There are several different termite species in Australia and all having different feeding and breeding characteristics. So having years of termite experience and being backed with state-of-the-art equipment you can have peace of mind knowing we are the right company for the job. 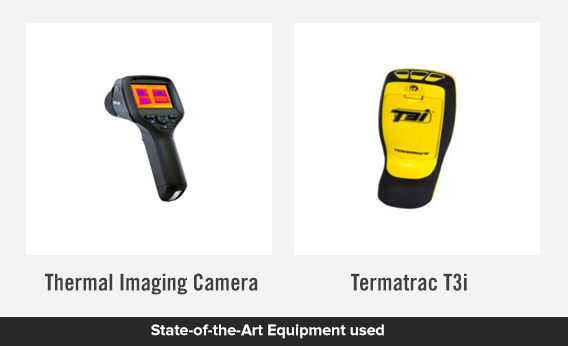 The Pest Inspection equipment we use. A timber pest inspection is conducted by a licensed and certified timber pest inspector who examines all accessible areas of the house for timber pests. Examples of a timber pest is Termites, Wood Borers, Mould and Wood Fungi. The timber pest inspector looks for past, current and future issues the property may have. Future issues also known as conducive environments can be fixed to reduce the risk of termite damage. These can be as simple as removing garden beds away from the house. What areas are examines during a Pest Inspection? If termites are found on the property it’s definitely not panic stations. We can give you an accurate quote on the cost of a termite treatment and also what it would take to further termite proof your house with a termite barrier. We use an industry leading chemical called Termidor for amazing results in destroying termites and termite nests. So if you are in the market for a property get your Pest Inspection done by one of best building and pest inspection companies in Brisbane, Sound Building Inspections. Copyright © 2016 soundbuilding inspections. All Rights Reserved.